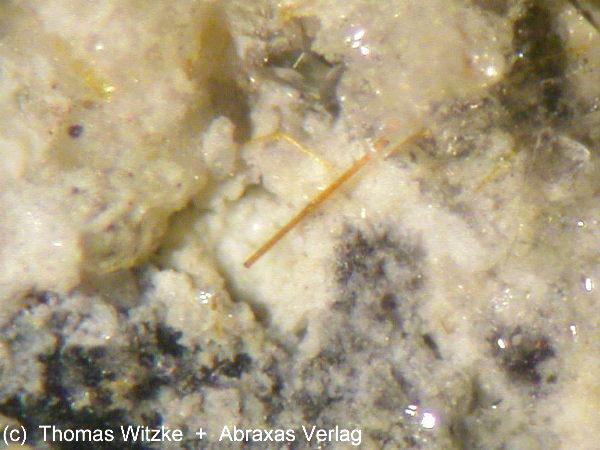 Comments: Yellow-brown acicular crystals of shcherbinaite. Location: Ronneburg U deposit, Gera district, Thuringia, Germany. Scale: Picture size 1.4 mm.